During the reign of Queen Anne, court intrigue revolved around the monarch’s relationship with Sarah Churchill, who exercised a surprising amount of control over her regal friend. There has been speculation since that time that the two were having a lesbian affair, though both were married. In Yorgos Lanthimos’ The Favourite, which has been researched for decades by scriptwriter Tony McNamara, that speculation is treated as fact and as there has been no outcry in historical circles, one can treat it as a reasonable basis for this fascinating peek into royal England in the early part of the 19th century. As the drama in the film plays out, there turn out to be two favourites, or rather two people vying to be the special friend of Queen Anne (Olivia Colman): Sarah (Rachel Weisz) and her younger, impoverished cousin Abigail (Emma Stone). It’s Abigail’s sudden arrival at court that fuels the film’s narrative as we see a young woman, desperate to achieve wealth, security and an aristocratic title, use her charms and guile to work her way into the Queen’s favour. As for the Queen, the last reigning member of the Stuart family, is a fascinating character. Having lost 17 children—none lived long enough to achieve maturity—she is clearly a woman filled with sorrow. But she can be childish in her treatment of her favourites and is prone to fits of anger, barking to musicians at one point to stop playing for no apparent reason. As she’s gotten older, she’s lost her looks and suffers from gout. Both Sarah and Abigail realize that Anne needs love, both physical and emotional, and requires support in order to make political decisions. Sarah Churchill, a direct forebear of Winston, is the most complex character. She seems to genuinely love Anne but treats her quite harshly, which leaves her in a precarious position whenever she angers the monarch. An Anglican and a Tory, she guides Anne to stay loyal to her party as opposed to the looser coalition of Whigs. Sarah is resolute in her opposition to France, which is fighting the War of the Spanish Succession against England. Sarah can be vicious and arrogant but it is also clear that she’s extremely intelligent and a perceptive political thinker. 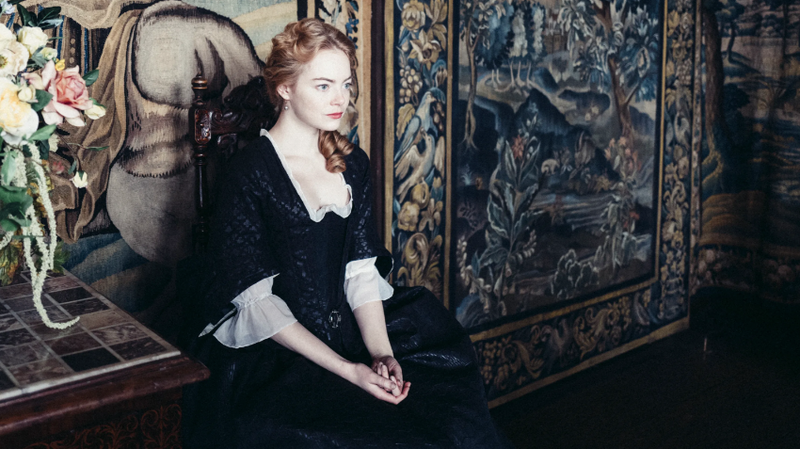 The Favourite is staged and shot like a royal comedy of manners, with hints of genuine menace lurking beneath the surface. As a director, Lanthimos is more than happy to create genuinely upsetting scenes and it’s surprising that the story turns out to be surprisingly civilized. But cruel behavior is certainly part of any narrative made during those times. The three leads—Colman,Weisz and Stones—are all excellent. 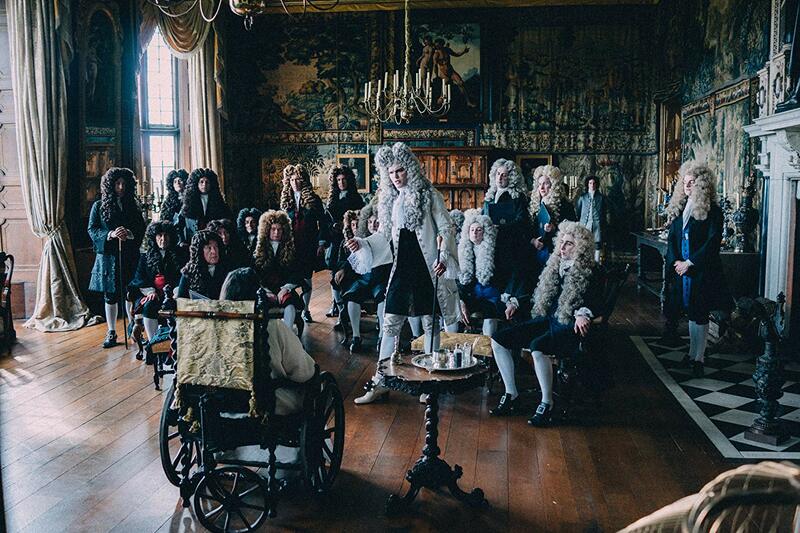 The Favourite has already won the Grand Jury Prize at the Venice Film Festival, while Olivia Colman won for Best Actress; it won 10 prizes at the British Independent Film Awards including best film, director, actress and script—and it’s been nominated for five Golden Globes. This is a film of genuine merit and should find an audience that appreciates great direction and solid writing—and genuine star appeal.